If you have grown frustrated with unmotivated and lackluster employees, perhaps it is time to add something new to daily office life. If the cost of health care and worker’s comp has become financially overbearing, it may be time to join the movement of forward-thinking businesses that are partnering with corporate wellness companies to bring their workplaces back to life with an emphasis on health and wellness! This is the time to show your employees that you not only care about their work life, but also their wellbeing and lifestyle in general. Corporate wellness companies like Wellworks for You work can help you plan an effective wellness campaign to ensure better physical and financial health for companies and employees alike. What Can Corporate Wellness Companies Do for You? Research has shown that a healthy employee has greater focus, determination, and motivation than one who is constantly uncomfortable or in pain due to a medical issue or the stress of potential risks. Your employees want to be healthier, happier and more energetic…they may just need a nudge in the right direction. 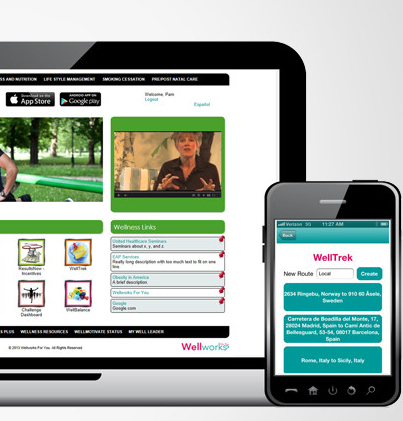 Wellworks for You is among the top corporate wellness companies in the region and is now offering free resources so you can get things started at your company! This will show you what your own wellness program could look like for your business. This brochure is designed to give you a sneak peek at what your own completely customizable wellness program could look like. Since this is for your workplace and your employees, we want you to be able to custom design your company’s wellness program, but this brochure gives you a guide to what an average campaign might look like. To begin, you can plan several wellness events to be held throughout the year. At these events, you can choose to include opportunities such as on-site speakers, wellness challenges, on-site preventative screenings, and more. Giving your employees a chance to attend these events will not only display your care for their physical health, but also give them a way to begin on a new health journey. During an event like a health fair, employees can receive massage therapy, undergo simple tests or screenings for various medical issues, talk with educated medical professionals about their concerns and even receive quality advice and encouragement from health coaches. If you would like to partake in the positive changes that corporate wellness companies offer for corporations, check out the brochure today. Wellworks for You, one of the premier corporate wellness companies in the industry, is proud to offer you the ultimate guide to beginning a wellness program within your business. 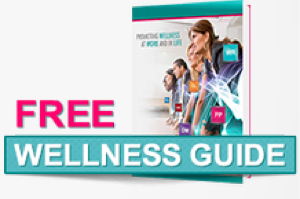 If you are seeking to create a more productive, healthy, and wellness-centered workplace, then download this free resource to get started. This free guide will list and explain the benefits of a customized health and wellness plan for your company, as well as show you how to practically begin. Download your free guide today! Decide that you want to offer your employees more than just a place to do their job. Wellworks For You was created in order to assist you and your company in designing and maintaining a comprehensive wellness program. We believe that healthy bodies as well as healthy minds are what make the work place successful, team-oriented, and productive. Corporate wellness programs are the perfect platform to encourage your employees on to greater health and productivity!